Welcome to our travel tips page. 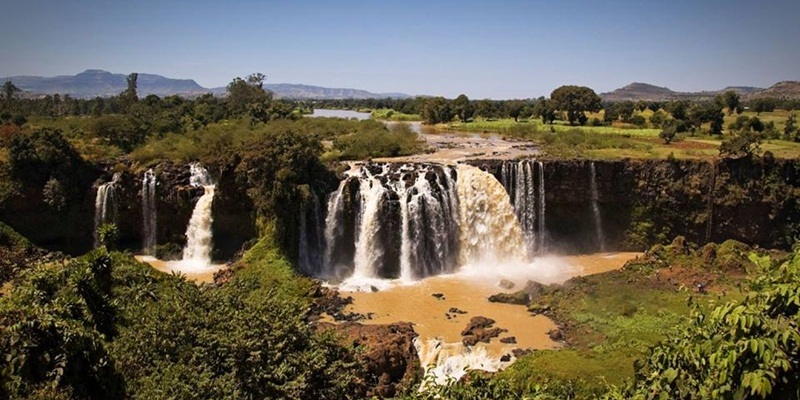 The Ethiopian Summer (September through May) is a good time to visit Ethiopia as the days are generally pleasant. It is also a good time to travel outside of the capital city as the winter (June through August) rains render the dirt roads impassable. Visitors should take a simple first aid pack, which would include: different size plasters, antiseptic cream, anti-histamine cream and/or tablets for insect bites, sunscreen (while temperatures are moderate the sun is strong) and anti-diarrhea tablets such as Imodium for emergencies (they will not cure the problem but will control the symptoms). Be sure to bring any prescription medication to last during your trip – as well as a copy of the prescription. In addition, bug spray is important. Insect repellent containing DEET (diethylmethyltoluamide), in 30-35% strength for adults and 6-10% for children, is recommended. A certificate of yellow fever vaccine is required for entry into Ethiopia. Immunization for Hepatitis A and B, Tetanus, Typhoid and Polio is recommended. Malaria: in most of the sites malaria is not a problem because of the high elevation, e.g. Addis Ababa, Axum, Gondar and Lalibela. Lowland areas along the Awash River, the Omo Valley, Rift Valley and Gambella are subject to malaria outbreaks. Alternatively, you can keep mosquitoes and other insects at bay with repellent creams and sprays. Visas are required for all visitors to Ethiopia (with the exceptions of nationals of Djibouti and Kenya) and are readily available from Ethiopian Diplomatic missions abroad. Passengers in transit in Ethiopia, holding confirmed onward bookings within 72 hours, can obtain transit visas. The requirements for a visa are a valid passport, one recent color passport size photograph, a completed Visa Application Form, and a fee. The payment should be made in money order (or equivalent currency) payable to the “Ethiopian Embassy”. Visa processing takes at least two to three working days provided all requirements are complete. The Visa issued is valid for entry within ninety days from the date of issue. Up on arrival at the airport in Ethiopia, you must declare any foreign currency to the customs authority. Money can be exchanged in the airport, in major hotels and in most banks. Exchange requires a passport and the receipts should be kept, as re-exchanging back into foreign currency is difficult otherwise. The Ethiopian currency is the Birr (“Silver” in Amharic), the rate of which is fixed against the US dollar in weekly auction. VISA and Master Card Credit cards are accepted in the main hotels and big shops and enterprises. Few ATMs are available at banks and international hotels. Food and waterborne diseases are the number one cause of illness for travelers. Make sure your food and drinking water are safe. You can do that by boiling your drinking water or buying bottled water. Do not swim in fresh water (except in well-chlorinated swimming pools). Ethiopia is destinations with a great and solemn culture in respecting older people. Traveling old age is not a problem to Ethiopia especially when you travel with Stone Age Tour & Travel. The staff at Stone Age tour and travel gives big attention to old age travelers starting from designing your tour program up to making it real. We will give all the necessary attention starting from arrival at the airport to your departure. Whatever ages you are just contact us & our staffs will advice you, plan your trip and make it real for you. Ethiopia is one of the safest places to travel with children. When you travel with Stone Age tour and travel the staff gives special attention for your children from culture shocks, giving the adequate knowledge of history and culture based on their capacity with our friendly, experienced and qualified multilingual tour guides. Most of our staffs are experienced with family trips and handling children needs. 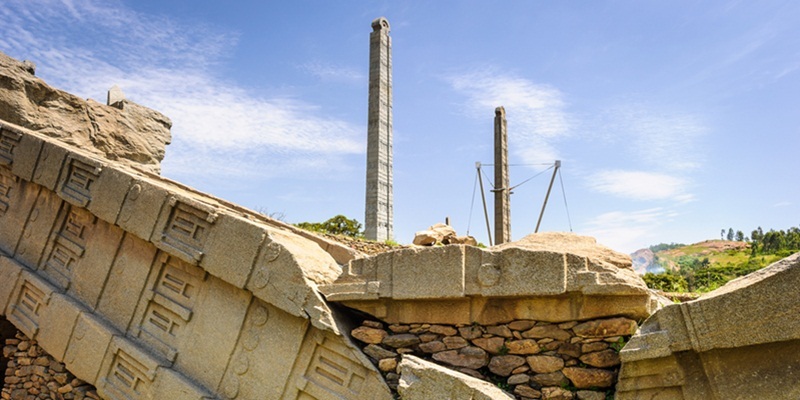 Stone Age tour and travel will advice your tour programs, gives you special discount for your kids, and can assist you with your travel with children in Ethiopia starting from designing to implementing your tour. Because of the elevation, temperatures rarely exceed 25°C in the highland part of the country, although in some of the lower lying areas (Awash, Omo and Mago parks) it can get considerably hotter. Pack light clothes for the day time and a jacket or sweater for the evenings, and a good pair of walking shoes even if you are not going trekking – path ways around historic sites are usually uneven and stony. Warm clothing is essential throughout the year in the highland regions. You may wish to bring light cotton clothing for use in the hot areas in the country (afar dallol depression, Omo valley). Travelers should take rain coat or other rainwear particularly when visiting the country during the period from February to October. It is usually possible to have clothes laundered at or near hotels within a short period of time (frequently services are offered 24 hours a day).A hat and sunglasses are a must! Trekkers in the Semien and Bale Mountains will need warm clothes and waterproofs. 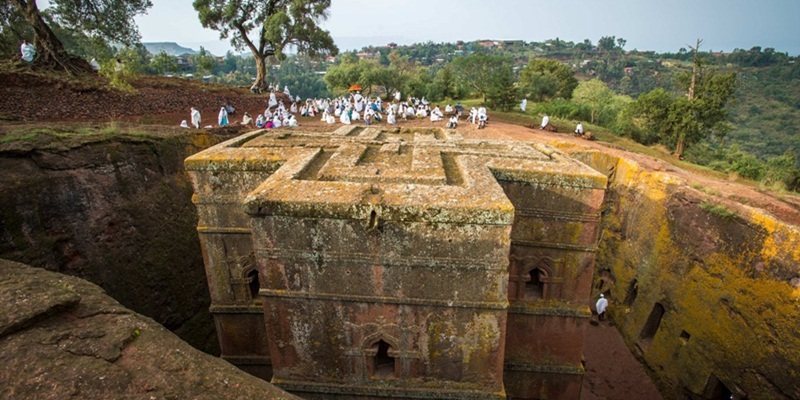 On a cultural note – Ethiopians are generally modest dressers, and visitors should be sensitive about going underdressed, wearing shorts, and bare backed especially into places of worship. Shoes must always be removed before entering churches and mosques. Traveling alone looks a bit difficult in many countries. Ethiopia is one of the best and safest place to travel alone most importantly Ethiopian people are respectful and friendly, of course it will be advisable to travel with tour companies and your choice should be Stone Age tour and travel. You might ask why? Stone Age tour and travel is a collection of experienced and qualified tour staffs especially who can advice you where to travel, how and when to travel especially when you are alone. This depends on the region you are travelling to. In the main parts of the country, in particular the highlands, the main rainy season runs from June to the end of September, with a short rain period in March. In the Omo- Valley in Southern Ethiopia however, the seasons are different with the main rains from March to June and shorter rains in November. Violent crimes are very rare. Tourists should be aware of pickpockets in crowded places like markets and it is better not to show off valuables and money. In some overland regions it is recommended not to drive after dawn. Due to strict custom regulations, it may cause problems at the airport to carry more than the usual basic electronic devices, especially if they are new. Import Tax payment may be required. Souvenirs imitating historic artifacts have to be approved not original by the National Museum in Addis Ababa, if not they can be confiscated at the airport customs before leaving Ethiopia. Buying receipts have to be saved. As a matter of courtesy, permission should be sought before photographing individuals and in many parts of the country, particularly among the ethnic groups living by the Omo River, people will demand a fee. In many places small fees are charged for photos taken of people, especially in the southern tribal areas of Ethiopia. Video fees can be very high in national parks and other guarded places. In some sites there is a charge for video photography. Addis Ababa now boasts of a wide variety of restaurants, and at hotels in tourist sites European style foods always available. If you are travelling to remote areas, such as the Omo Valley and parts of southern Ethiopia where there are no hotels or lodges, it can be advisable to stock up with tinned and packed food in Addis Ababa. In Addis Ababa one can find hotels ranging from five star deluxe hotels and there are a number of tourist class hotels. Outside the capital a variety of good and clean hotels and lodges can be found. Standards vary, but apart from the areas around Omo and Mago national parks, where camping is unavoidable, it is generally possible to get relatively clean rooms with en suite toilet and shower. In many remote places you can find lodges. Domestic flights by Ethiopian airlines connect most of the regions and bigger town daily or at least twice weekly. For flights to smaller airstrips, charter flights are available. Travelling by road allows visitors to experience Ethiopia’s wonderful scenery. Road conditions are good to all the destinations of major importance. More roads are being asphalted and there are well accessible roads in between different regions. Especially to the south, it is still necessary to travel in 4 WD vehicles. The train connection to Dire Dawa and Djibouti is currently out of use. Amharic is the official language of Ethiopia, and English is widely spoken and understood. Ethiopia has its own calendar of 13 months: it follows the Julian calendar which is divided into 12 months of 30 days each and a 13th month of five days (or six in leap years) at the end of the year. The time difference is +3 hours from Greenwich Mean Time. Do not forget your bitters, vitamins or medication & your first aid kit. Be aware, driving in Ethiopia is on the right side of the road. Do not get involved in unnecessary discussions, arguments and quarrels. Do not get involved in suspicious or illegal trading to avoid disappointment. Do not accept offers from strangers on the streets as these may result in overcharging and/or may cause other unpleasant encounters. Respect and honor cultures, traditions, customs, and values of Ethiopia. Remember to remove your shoes when entering worship sites (Churches and mosques) also wear appropriate clothing. Try the local food, it is quite nice. Go see local music and Dance. Appreciate the difference in lifestyle between this culture and your own.